Most electronic musical instruments available today are constrained to physical controls consisting of little more than on/off switches. While musicians have drawn an impressive amount of creative expression out of simple switches, these limited interfaces lag far behind the possibilities for subtle control offered by modern synthesizers. Enter Keith McMillen Instruments K-Board Pro 4, a new kind of controller that feels and responds like an instrument with all the nuance and sensitivity that makes an instrument musical. K-Board Pro 4 is a four-octave MIDI keyboard controller with multiple dimensions of touch sensitivity in each key. K-Board Pro 4 is compatible with the MIDI specification for multidimensional polyphonic expression (MPE), sending attack velocity, release velocity, continuous pressure, horizontal position and vertical position data to offer the deepest level of expressive playing. Under each key of K-Board Pro 4 is KMI's patented Smart Sensor Fabric technology that is at the core of all their MIDI control surfaces. Resilient silicone keys and no moving parts ensure durability. K-Board Pro 4 is USB-powered and class-compliant to ensure both portability and compatibility with macOS, iOS, Windows and Android, as well as with MIDI-capable hardware. 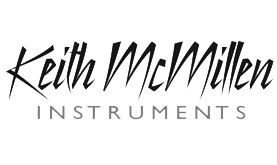 Keith McMillen Instruments (KMI) offers a 12-month warranty from date of purchase on all products against manufacturing defects. KMI requires that all products for warranty replacement be returned to KMI for evaluation. To verify your warranty you must provide KMI with a copy of your receipt in your communication with their Technical Support Team. Once your return has been authorized KMI will supply you with an RMA number. Once returned KMI will evaluate the product and, if deemed to have a manufacturing defect, will replace it free of charge. However, if the product passes evaluations KMI will communicate with you further so they may attempt to uncover the issue you have experienced. In the event your product is in fact not defective, you will be subject to pay for its return shipping. USB Cables are not covered by this warranty. Products returned due to a bad USB cable will be subject to return shipping charges.